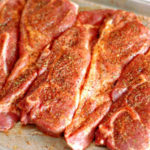 100% Certified Berkshire Pork Ribs that are meaty, sweet tasting and fresh smelling. Appetizer ribs are PERFECT! Customers love the tender sweet meat of the rib tips. 4 small racks with 6 bones each. The back ribs are the KING of ribs for flavor, tenderness and overall quality. 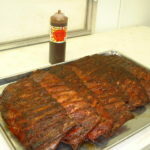 (10 bones) Photo is of our Berkshire Back Ribs. 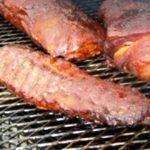 All ribs are NOT cooked.